Residents of Whitewater (or at least the ones attracted to corporate welfare) had a chance this winter to hear a state operative extol the benefits of billions in public money for Foxconn. 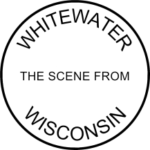 The local 501(c)(6) business league, the Greater Whitewater Committee, brought in a guest speaker to tout the project. See A Sham News Story on Foxconn. The presentation as reported dutifully and uncritically in the Daily Union was a string of inflated, incredible claims. Among them was how many jobs this project might create. New documents released by the Wisconsin Department of Administration, and reported by Milwaukee’s BizTimes, show the administration of Gov.Scott Walker signed a deal with Foxconn that would allow the company to pay up to 93 percent of its workers just $30,000 a year, or slightly less than $15 an hour. For a family of four, that’s a low enough salary to be eligible for federal food assistance, and is anything but a family-supporting job. At issue was the company’s promise to pay workers at Foxconn an average wage of $53,875, which the state was requiring in order for the company to get the massive, multi-billion state subsidy — the largest ever given in America to a foreign company — the Walker administration was promising. The story by reporter Arthur Thomas, who continues to scoop the Milwaukee Journal Sentinel in covering Foxconn, reveals the Walker administration originally proposed to count only wages under $100,000 in computing the average wage while Foxconn’s negotiators wanted no “artificial cap” on the average wage. “Foxconn expects all wages to be considered for the average annual wage calculation,” attorneys for the company wrote. Under a $100,000 cap, Thomas notes, Foxconn could have paid 65 percent of its workers a $30,000 salary and “still met its average salary commitment. A $400,000 cap allows for 93 percent of the workforce to be paid $30,000 while still meeting the requirement.” In short, WEDC simply caved in to Foxconn’s demand. Over these months we’ve learned that the Foxconn plant won’t be as advanced as promised, won’t need as many workers, and will pay less per median worker, but will still cost as much (billions) in public money. That’s not a greater Whitewater or a greater Wisconsin; it’s a lesser America. Previously: 10 Key Articles About Foxconn, Foxconn as Alchemy: Magic Multipliers, Foxconn Destroys Single-Family Homes, Foxconn Devours Tens of Millions from State’s Road Repair Budget, The Man Behind the Foxconn Project, A Sham News Story on Foxconn, Another Pig at the Trough, Even Foxconn’s Projections Show a Vulnerable (Replaceable) Workforce, Foxconn in Wisconsin: Not So High Tech After All, Foxconn’s Ambition is Automation, While Appeasing the Politically Ambitious, Foxconn’s Shabby Workplace Conditions, and Foxconn’s Bait & Switch.